It’s not always a compliment to note that a movie feels like the right fit for Sundance. Festival faves often deflate when they reach the real world, unable to survive without the eager enthusiasm of film fans. The Sundance premiere “The Long Dumb Road” is undeniably cut from familiar cloth. But it’s got enough charm to keep it buoyant long after Robert Redford waves the last blogger goodbye. As with all road movies, its success rides on the company we’re required to keep. Happily, our two leads are unflaggingly delightful companions. The trip begins when naïve teen Nat (Tony Revolori, “The Grand Budapest Hotel”) leaves home for his first year of college. He’s driving from Austin to Los Angeles when his car breaks down, putting him in a panic. 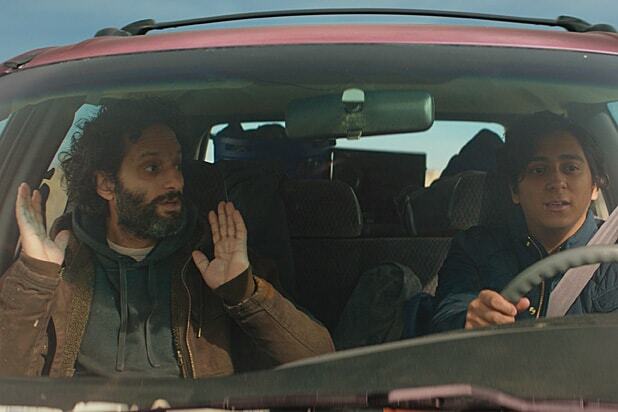 Rather miraculously, though, he bumps into a friendly stranger just in time: Richard (Jason Mantzoukas) has just quit his job as a car mechanic and also happens to need a ride. Richard is one of those only-in-the-movies lost boys, a fortyish iconoclast who wanders through life reacting to each moment as it comes. We’re not sure, at first, if he’s using Nat or truly connecting with him. But he seems genuine when he decides to take this kid under his wing, teaching Nat the rough ways of a world far from his middle-class upbringing. The pair wind their generally merry way towards LA, staying in cheap motels, drinking in seedy bars, and devising romantic adventures. Nat encourages Richard to look up his high-school girlfriend (Casey Wilson); Richard urges Nat to socialize with two friendly sisters (Grace Gummer, Taissa Farmiga). Nothing goes quite as planned, of course. But they keep moving forward, encountering increasingly eccentric strangers (Pamela Reed, Ron Livingston) along the way. Unfortunately, only Livingston’s amusingly domestic sociopath makes any impact among the quirky supporting crew. Oddly, director Hannah Fidell (“6 Years”) and cowriter Carson Mell (“Silicon Valley”) neglected to create any memorable women within their script. Reed grabs hold of her brief scene with unexpected gusto, as though she’s determined to wring something out of it. 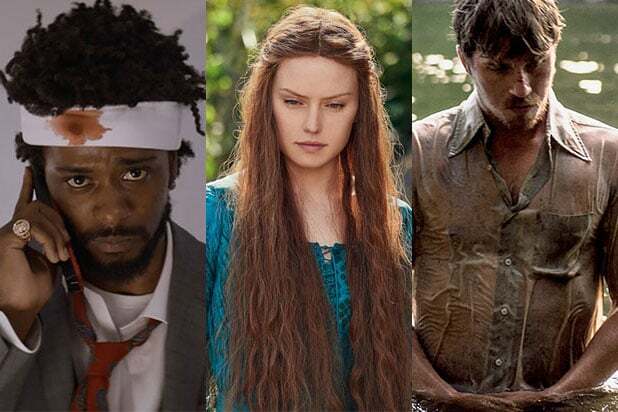 But it’s disappointing that a filmmaker blessed with the collective talents of Wilson, Gummer and Farmiga would waste them on generic characters designed solely to define the protagonists. Besides, these heroes don’t need anyone else’s help. Mantzoukas and Revolori are ideally cast, bouncing off each other with a salty-sweet chemistry that’s as natural as it is entertaining. Both actors get plenty of room to roam, and they make the most of it. Just as we think we’ve got these two figured out, one of them will veer in a new direction. And yet whenever Nat reveals unanticipated strengths, they feel organic. Richard’s flashes of vulnerability simultaneously come out of nowhere and yet make perfect sense. Fidell doesn’t do as much as she might with the shifting settings, but she does make the interesting choice to keep her portrait of America politically unspecific. The primary conflicts, handled with intelligence and insight, arise from the class differences between the two men rather than prejudice from any outsiders. We tense up automatically, for example, when the guys enter Red State territory, starting backwoods bar fights or breaking into bland suburban homes. But they encounter no judgments or assumptions based on anything other than their own words and actions. It’s an unexpected approach, but also an apt one for what is, ultimately, an amiable comic fantasy. While the lessons are light and the road well-worn, our perfectly mismatched travelers make the journey worthwhile.